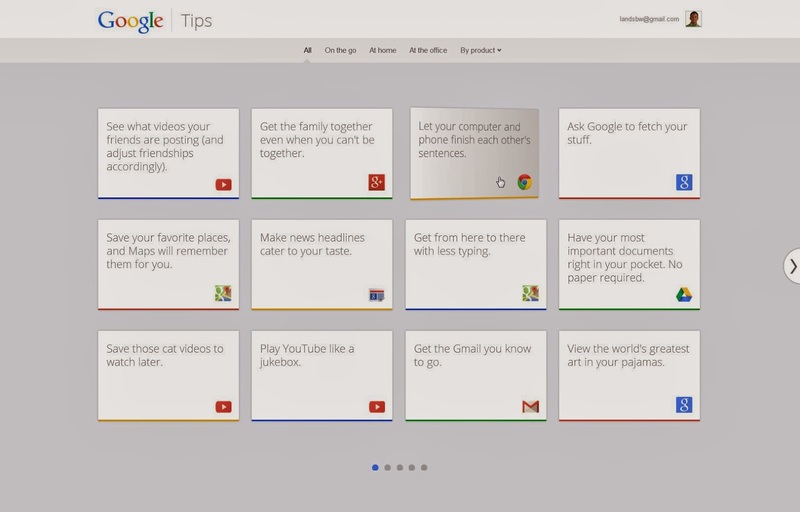 Did you know that Google launched a website just for Google Tips? 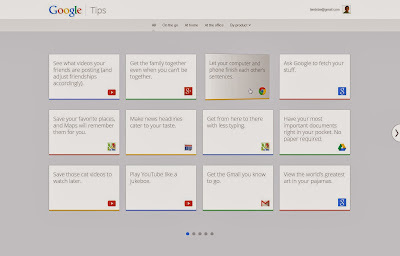 Google Tips is a great place to learn more about how to become more productive and more efficient with Google Apps. In short, it's basically "A bunch of stuff that you can do with Google". Find a card you like and "flip" it over to learn more. You can share your favorites with friends and even suggest tips for Google to add. Google keeps adding new cards to Google Tips, so come back to this website often to check out what's new. 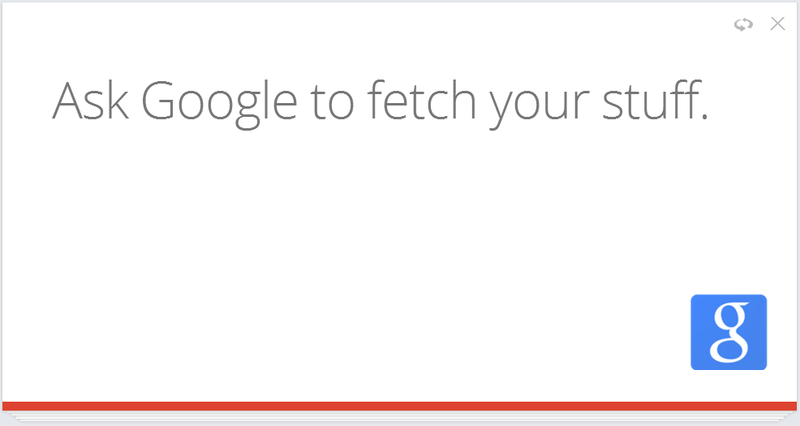 You can ask Google to fetch your stuff. Google now has a built in Voice Search that will allow its users to search information within their Google account. So now, Google can instantly fetch stuff in your Gmail, Google Calendar, Google+, or Google Drive, and show this info only to you, when you're signed in! 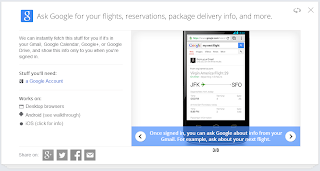 Ask Google your flights, reservations, package delivery info and more. Either using the Google Now App, or using Google Voice search in your Chrome Web Browser, you can ask Google these types of questions and Google will not only fetch this information for you, but it will speak it back to you. 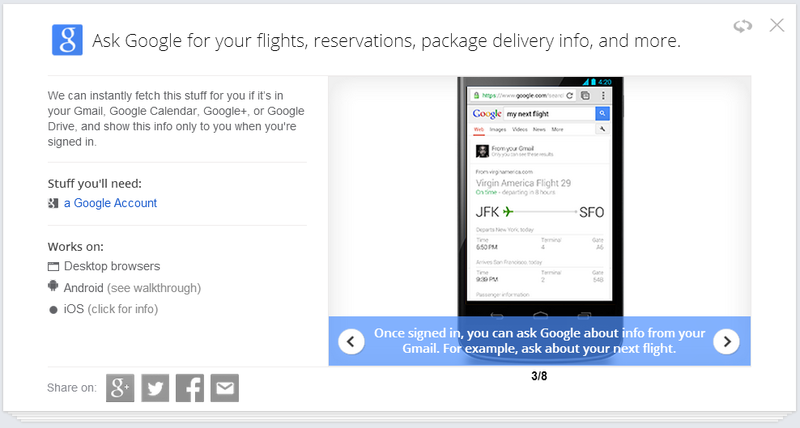 Once you're signed in, you can ask Google about info from your Gmail. For example, ask about your next flight. 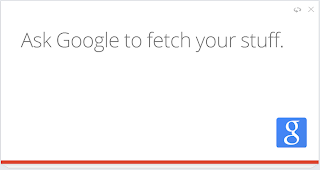 The next time you sign in to your Google Account, consider asking Google to "fetch your stuff" rather than searching for it. How might you apply this feature to education? How might you use this with students?